Travel, food, venue details and other things you need to know. 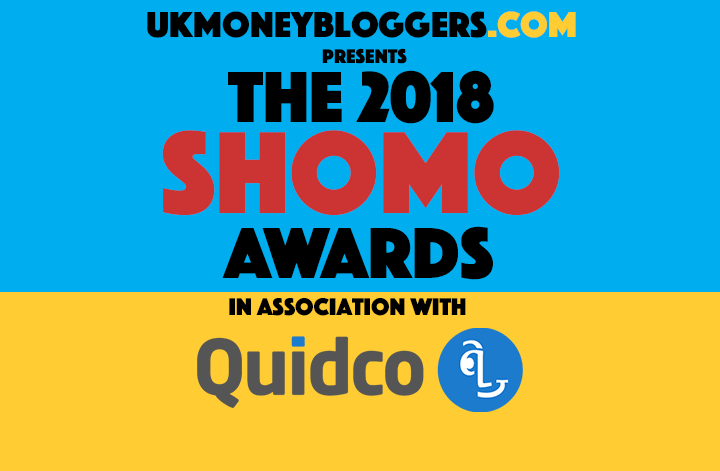 Show Me The Money Bloggers 4, in association with Yolt, and the 2018 SHOMOs awards, in association with Quidco are taking place in just a few weeks time. So if you’re coming to the fourth annual UK Money Bloggers conference and awards on Saturday 17th November here’s some useful information. Doors open at 10.30am for registration and the event starts at 11am prompt. There will be no early entrance. The event will finish at 7pm, but we’ll carry on for a good few hours for drinks and food and even more networking. There is a lift if you have access needs. You must either print out your ticket or show it on the Eventbrite app. If you don’t have your ticket you must show photo ID that corresponds to the name you booked with. Nearby London Underground stations are Moorgate, Liverpool Street and Old Street. Closest stop is Moorgate, then take the Moorgate West exit and turn left. It’s then a four minute walk straight and the building will be to your left. There is a car park immediately opposite the venue, though this can be quite expensive. A cheaper alternative is a 10-minute walk away at the Barbican. You can find other options on Parkopedia. There is a Travelodge just around the corner, though at this stage you’ll likely find cheaper rooms further away. We will provide food at lunchtime (around 12.30pm) and will be ordering in lots of pizza after the SHOMO awards (around 7/7.30pm). This will be based on dietary requirements you provided when booking your ticket. There will be tea, coffee and water available at lunch and throughout the day. Soft drinks, wine and beer will be provided in the evening. Breakfast will not be provided, so make sure you’ve eaten before you arrive. If you leave the venue you will have to be collected at the main doors. Depending on what else is happening at that time you may have to wait for up to 15 minutes. It’s a very informal day so there’s no need to dress up. Most people will be in jeans and quite casual.